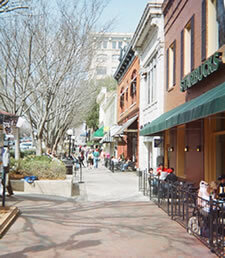 Athens ranks near the bottom on several key indicators of community wellbeing including child and elder poverty. THE NEED: We know that the surest way to break the cycle of poverty is to increase participation in the economy. To do this, Athens has come together as community to develop strategies that bridge differences and reflect a broad resolve to improve the economic well-being of all its citizens. What is needed is a community culture that takes on the hard issues by supporting continuous improvement, clear and honest communication, and collaborative partnering between all community interests and institutions. GETTING STARTED: The Mayor of Athens-Clarke consolidated government, the President of the Athens Area Chamber of Commerce, the Clarke County Superintendent of Education, the Director of the Family Connection Partnership and the Director of Community Relations for the University of Georgia have come together to create such a collaborative initiative. Judge Steve Jones is serving as the chair and Red Petrovs is serving as vice chair. The work of the initiative is being conducted by a steering committee jointly appointed by the five conveners. The Steering Committee is working with citizens of the community to identify the most pressing problems and challenges, and over time develop collaborative strategies for addressing them. This Steering Committee is called "Partners for a Prosperous Athens," and utilizes the expertise of a Community Resource Team made up of interested community service organizations. The University of Georgia's Fanning Institute is providing facilitation and staff support. THE OUTCOME: The collaborative strategies identified acknowledge existing efforts and reflects a community commitment to continuous improvement and change. The recommended strategies will be submitted to the convening organizations for implementation. The Partners for a Prosperous Athens will also assume responsibility for monitoring implementation.